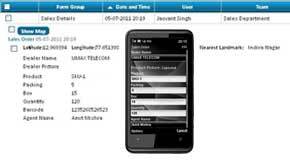 quikformz is FLAGSHIP product of Orient Technologies, a specialised mobile Products company. 'quikformz' supports, redefine and improves business efficiency, scalability and stability of operations of various business functions such as, Sales, Distribution, Inventory, Service, Installation, Maintenance, Support, Verification, Inspection. 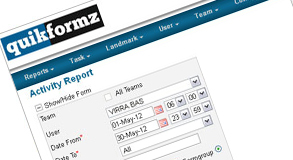 quikformz application integrates with client ERP to offer customised field reporting automations in various industries which includes, Telecom, Retail, Fast Moving Consumer Goods (FMCG), Insurance, Banking and financial services (B&FS), Pharmaceutical, Agriculture, Electrical, Logistics, Media. © 2019 Orient Technologies Private Ltd.